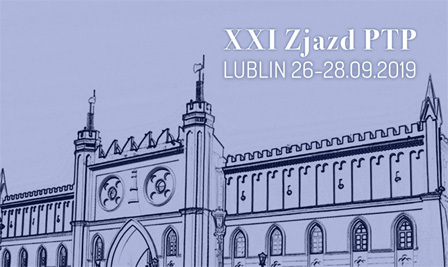 Zapraszamy na „Melanoma Pathology Working Group Meeting for European Dermatopathologists and Pathologists„ organizowanego przez EORTC przy współpracy z Oddziałem Warszawskim PTP. Martin Cook, M.D. Daniela Massi, M.D. Udział w warsztatach jest BEZPŁATNY dla Członków PTP!!! European CME credits by the EACCME (European Accreditation Council for Continuing Medical Education) will be requested. The diagnosis and classification of melanoma and ambiguous melanocytic proliferations is notoriously difficult even to the experienced pathologist. This is largely due to the wide morphological spectrum of these neoplasms often showing only subtle differentiating features. This practical course aims to provide an overview of the important aspects of melanoma pathology with emphasis on recently published findings and molecular genetics developments. There will be a particular focus on diagnostic pitfalls, morphological clues to the correct diagnosis, appropriate use and interpretation of immunohistochemistry and clinical relevance. This course is suitable for a wide audience and may be particularly beneficial to dermatopathologists in practice. The course will be presented in a case-based format. Pre-registrants will be able to view virtual slides prior to the meeting. The EORTC Melanoma Pathology Group has the primary goal of promoting collaborative and interdisciplinary activities, research and education in the field of melanoma pathology. In addition, the role of pathologists inside the EORTC Melanoma Group is to support clinical trials and their research aspects by offering quality control as well as to collaborate to scientific projects that have relevance to the overall understanding of melanocyte pathobiology. The Group represents a friendly and informal environment, favouring communication and an unrestrained exchange of scientific information beyond state boundaries. 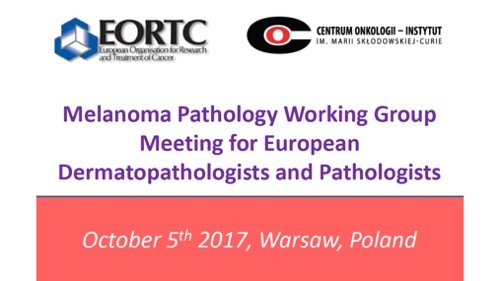 Starting from 2015, it has been agreed that in association with the annual EORTC Melanoma Group meetings http://www.melanomagroup.eu/site/ there will be a special session with teaching courses for pathologists focused on different topics ranging from problematic diagnostic areas in melanoma to molecular characterization and novel tissue biomarkers discovery in the era of the novel melanoma therapies. It is critical that we all participate actively in these activities to develop a system that is beneficial to our patients and applicable to our practicing physicians, enhanced by our experience and direction.